That’s how many followers I had on my @kimgarst Twitter account on August 6, 2015. In just over 90 days, from May 1st – August 6th, I added 32,254 new followers. There is nothing impressive about that though. Anybody can build a large (but crummy!) Twitter following. There are 1,001 “how-to’s” out there that can teach you to do that. 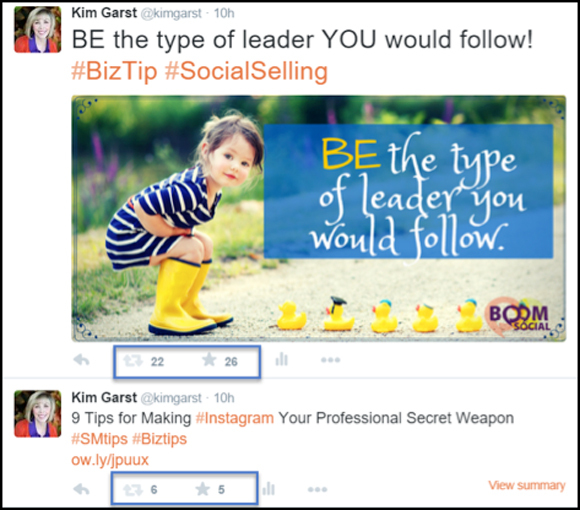 The difference for my following is that I want Twitter to be a traffic and lead machine for my business, Boom! Social Media Marketing — I bet that’s what you want too. 55,000+ link clicks to content, squeeze pages, offers, eBooks, etc. Want to know how much time I spend every day managing my Twitter system? Today I’m showing you exactly how to do the same. Stopwatch ready? Let’s go! I am live on Twitter every day, but I want to spend that time actually engaging with my followers, not posting content. To do that I use an auto-scheduler — Let me say that again, I NEVER automate engagement, just content distribution. There are lots of tools out there that do that, but my favorite and “go to” tool for auto-scheduling the past several years has been SocialOomph. I currently have 9 active queues with over 1,500 pre-written tweets in them. I group tweets by category and have categories for almost everything I do, including sales and marketing! Want to know how I stay one of the world’s leading social media bloggers? Traffic! I use Google Analytics to tell me which of my blog posts are getting the most traffic. Then, I take the top performing ones and put them in a SocialOomph queue and use the software to send one out every 43 minutes, 24 hours a day, 365 days a year! Once the tweet is sent it goes to the bottom of the queue to be sent out again later. Of course I make sure that the type of content that makes it into this queue is “evergreen” — content still as relevant today as the day it was written — and no, I don’t have to worry about coming across as “spammy” because it takes almost 5 days for each blog post to be tweeted once. Truth be told, I RARELY visit my own Twitter page. Instead, like over 10 million other Twitters users, I use Hootsuite to manage my engagement. I have a Hootsuite Pro account that costs me a whopping $8.99/month. Yes, I do pay for it myself and I have no affiliation whatsoever with Hootsuite. I have tried just about every Twitter account dashboard out there and Hootsuite works the best for my purposes. I probably spend 30 minutes a day engaging with people directly from this dashboard. There are lots of tools out there that can get you Twitter followers. If you really do not care about the quality of those followers (or even that they are real people), then you can buy tens of thousands of followers from hundreds of “black hat” operators for just a couple of hundred dollars. Let me make this clear — that’s a terrible idea! Those followers are worth absolutely nothing to your business because they will not engage with your content or buy your products and services. In fact, all they might do is get your account shut down. What you DO want is highly-targeted followers who ARE interested in your content and may actually buy from you. More is definitely better when it comes to those types of followers. 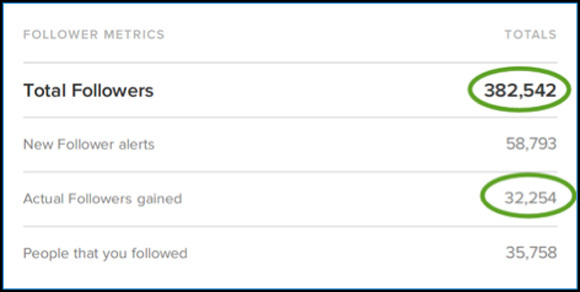 I use a tool called ManageFlitter to help find and follow the types of Twitter followers I want in my community as well as to get rid of ones I do not. I use the “Pro” version of the tool and pay $12/month. I have no affiliation with the company. 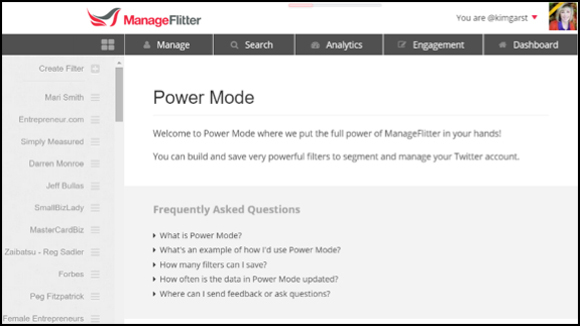 I use ManageFlitter in Power Mode to find Twitter followers. Doing so really helps me hone in on my ideal community members. I also like the ability to unfollow people who aren’t following me back in the reverse order that I followed them, meaning that I unfollow the people who have had the longest to follow me back but did not first. Unfollowing is an important growth strategy for most people on Twitter, especially users with new or smaller communities — why? Twitter only allows you to follow up to 2,000 people before you hit a follower limit. To get beyond that you must have more people follow you than you follow (with a 10% variance allowed). If you are following people who are not ever going to follow you back that prevents you from following other people who WILL follow you back. The result: your growth gets stalled. For a very small amount of money they will actually process the different actions I set the software up to perform over time so I am not violating Twitter’s Terms of Service. That saves me a ton of time and worry. 4. Build Awesome Graphics in the Blink of an Eye! Which of the two strikes your eye and which are you more likely to engage with? The one with the graphic was retweeted 22 times and favorited 26 times. The one without the graphic was retweeted only 6 times and favorited just 5 times. Tweets with graphics almost always outperform those without. I have a design background and 10 years ago the graphic above would have taken me a couple of hours to make. This one took my 5 minutes. How did I do that? I used Canva. There are lots of graphic-building tools on the market now but Canva has the best combination of price, quality and selection. I also love that they have templates specifically sized for Twitter and other social media sites. So, that’s it! Let’s do a quick recap. How do I drive massive amounts of lead-generating traffic on Twitter spending about an hour a day? 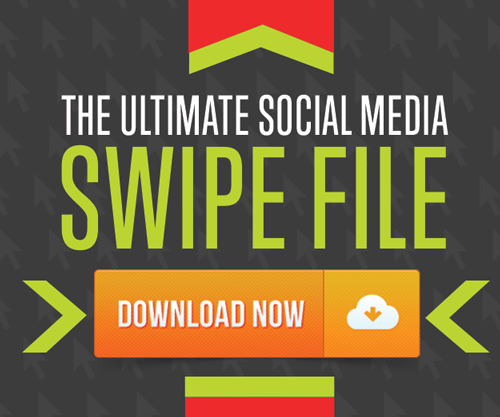 and build jaw-dropping graphics quickly and easily using Canva. Do the ROI calculation on that one! Kim Garst is the CEO of Boom! Social Media Marketing. She has taken her 20+ years of online business-building experience and married it with her dominant social media position as a Forbes Top 10 Social Media Women Power Influencer and leader of a social media community of over 500,000 people. Download Kim's newest free eBook and get 27 Killer Facebook Post Ideas for Small Business Owners. Get your free download here.